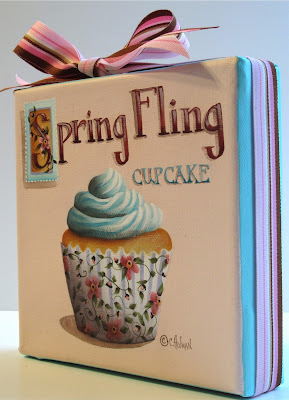 Today I finished this little 6" x 6" painting and listed it on eBay. To view the auction click on the above title. You can click on the photos for a closer view. 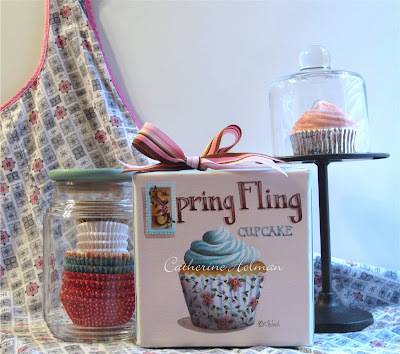 Spring has arrived, so have yourself a fling and splurge on this beautiful lemon blueberry cupcake topped with creamy aqua buttercream frosting piled high and dressed in a floral cupcake liner. A pink and brown striped grosgrain ribbon wraps around the edges of the canvas and is tied in a bow at the top. My sweet hubby brought something home for me today and I'll share it with you next time! Cathie, I love the flowered wrapper on the cupcake-very appropriate for Spring! Wonderful job as always! 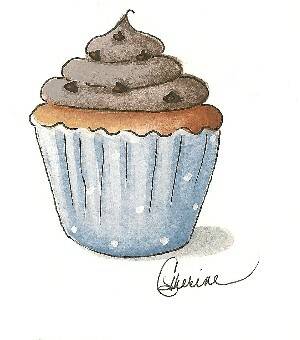 I've never seen the cupcake papers that you paint. Perhaps you could also design some because most cupcake papers are completely uninspired. This one is adorable. 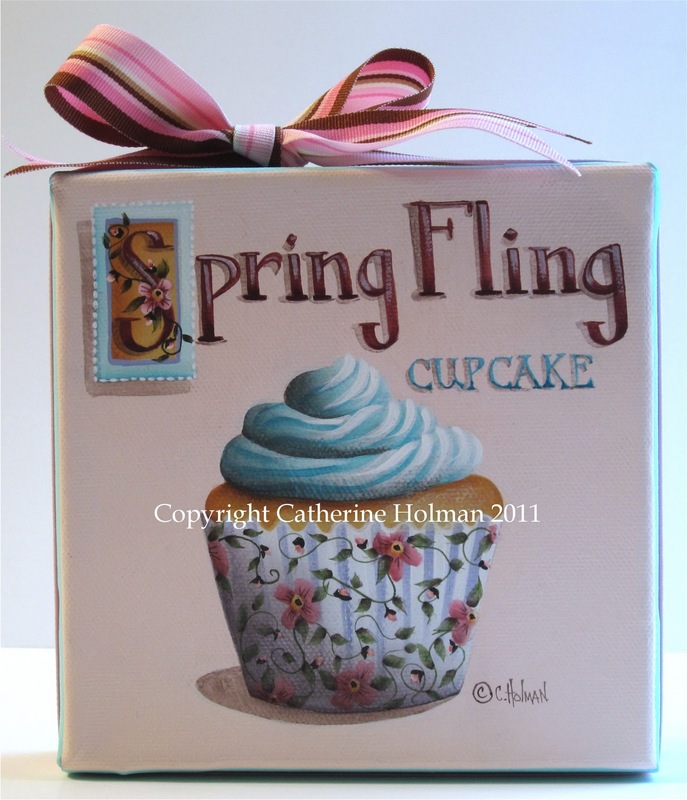 This is wonderful Catherine, love the frosting and the wrapper. Makes me think spring. The new paintings are perfect in every way!